Six Sigma Training can be used successfully across all industries. The leading companies that developed and implemented Six Sigma methodology, such as GE, Motorola and AlliedSignal, have made sure their efforts bring success. Although it isn’t easy, continual work toward improvement is key. The Six Sigma Methodology has been proven to increase savings on production and other costs within a company with great results. It is based on a few key factors and the major one is training. The training is spread over employees and management and is organized into levels based on a hierarchy. To be successful in implementing Six Sigma Training, there must be change in the culture, commitment and processes in the company. When your company accepts Six Sigma, it is making a change for the better. Making the most of your effort to generate profits is important. It doesn’t matter if you are an independent professional or the owner of an established business. When you invest in your future with Six Sigma training, it will be far easier to reach your goals. For Six Sigma processes to succeed in any organization, you must realize that there will be changes to the existing systems. The change could come to the current processes or the change could be in the way things are managed. By nature, people are generally resistant to change. Change can mean that everyone will move out of their comfort zone. The changes implemented during a Six Sigma project will face a lot of resistance, specifically because people become used to how they have always done their job. Accepting Six Sigma as a culture is to accept changes to the way things are done at every level. The leadership and management of the company have to be equally committed to support the Six Sigma culture and the changes that come with it. Unless the leaders in the company set the expectation to accept and make the changes, it will be much more difficult to be successful when implementing Six Sigma methodology. As the owner of your own business, it will be up to you to explain what the benefits and goals of implementing this strategy are. If you do not explain the benefits that come out of implementing the strategy, then employees will be more resistant to fully accept and cooperate. This could affect progress so that your entire business culture can be changed for the better. The process will need the full participation of everyone in order for it to be successful. Would offering incentives help alleviate the resistance to change and encourage full employee participation? For an incentive to be considered for all staff members, the company leadership has to be convinced that the incentive would ultimately be profitable for their company. Upper management can to put in place various activities and incentives to ensure that employees remain engaged in the projects. Putting rewards or incentives in place for their participation and contributions to such initiatives can be an attractive option. Six Sigma Management requires dedicated people to work on various improvement projects. There cannot be part-time participation from the leaders of the programs. The Black Belts working on a Six Sigma initiative should not be spread thin. Black Belts generally cannot work on other regular organizational activities, since they will need to work on the project day in and day out. Specifically, Six Sigma Black Belts have to put in a lot of effort to identify and bring about these changes identified in the processes. Only with the steady support and success of the Six Sigma strategies, will the change become accepted in the organization and become the new culture. 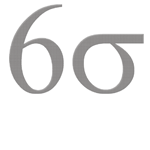 Six Sigma programs will not work for long unless management continually prioritizes the Six Sigma efforts. The availability of financing is also crucial to the success of the Six Sigma in the organization. If upper management is not fully convinced, they will not willingly fund the effort. That will set up a Six Sigma project for failure and actually generate more waste than never having started in the first place. Six Sigma Training requires that Six Sigma experts and others use the specific tools and techniques that are recognized for contributing to the success of the project. The employees must have the ability to use these tools and techniques in a way that fits within the organization. Having the business aptitude to adapt the various Six Sigma tools and techniques to their specific needs or industry is a critical part of Six Sigma Training. Within the company, having a business knowledge to apply appropriate changes it important. Understanding the changes that will actually benefit the organization is critical to undertaking a successful Six Sigma initiative. This is why it is often preferred to receive Six Sigma Training as a team within an organization. For Six Sigma to work in an organization, not only do you need support at every level, but investment in the Six Sigma Training and employees. The strategy is strongly rooted in teamwork. Prior to trying to implement this strategy, it is vital that every member of the organization understands the expectation to use the strategy. The strategy must be accepted as a whole and as requested by the Six Sigma experts. To accomplish this understanding and acceptance, it is beneficial that everyone is enrolled in some level of training. Training objectives, training requirements, criteria for training participants, format for training and training aids are some of the options that need consideration. Setting a very clear expectation helps in reducing resistance to change. Communicating with employees to gauge interest level and enthusiasm for the Six Sigma initiatives is equally important. Deciding on how you will implement the training is another factor to think about. Do you train a small number of employees and have those become internal trainers once they have become certified? Or do you invest in an external training program for all your employees to provide consistent training and accelerate the number of people who are Six Sigma Certified? 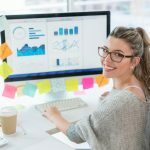 Once you have these things figured out and the ability to being the Six Sigma Training, your organization can implement Six Sigma successfully. Enrolling in Six Sigma Training and Certification is an investment into your company’s future. Companies of all sizes consider different ways possible that they could cut costs in order to save their bottom line. In a sluggish economy, the Six Sigma strategy is intended to help organizations avoid going downhill. A Six Sigma certification for any employee is an investment into your company’s future. With a Six Sigma Certified designation, an individual will be able to implement all of the methods that this strategy promotes at a certain level, designated by a ‘belt’ color. This investment will enable your organization to increase the rate that it produces its products. Additionally, employees will develop a sense of empowerment and ownership in the success of the organization. The process improvements will help build a loyal consumer base, that wholeheartedly trusts the items your organization sells. Convincing management that Six Sigma is worth the initial investment of both time and money is often the hardest task. Six Sigma Methodology is proven to be successful and well worth the investment. Especially if your business is not performing the way that you want it to. There are a lot of industries that are adopting the strategy and getting their employees trained and certified in the method. Even though the benefits are proven in a variety of other companies, there are still skeptics. However, in order to make money in business, you have to be willing to invest in your business. Six Sigma on a whole is worth the initial investment that you will need to make, specifically for training and certifying employees. You will notice almost immediately, after applying the Six Sigma strategies, that your company’s processes will be streamlined. The productivity of your business will increase, which will increase the revenue. This is a true win-win for everyone involved. For business professionals, earning a Six Sigma certification can also be well worth the investment. Six Sigma Certification is one of the easiest ways to increase your marketability and salary potential. Companies are well aware of the value that is provided by Six Sigma Certified experts. Having certified employees makes the knowledge available to others in the organization. More people are starting companies of their own. Even small-sized businesses have unlimited potential for growth. By getting the right tools early on, you can make sure that a developing business is built on solid principles and ideas. As new employees come aboard, you can maintain efficient operations. To continue working at process improvement, you can allow already certified employees to train the newer employees. You can invest in your future with Six Sigma training no matter what your goals are at this time. Whether you own a business, work for one, or plan to start a company in the future, it is possible to gain an amazing number of benefits by using this philosophy. You will be able to save more money and produce better results, no matter which industry you work in or what role you currently hold.